BOSTON (Reuters) - Activist investors have asked Amazon.com Inc to review its sales of firearms accessories, concerned that the online retailer offers products that could be used to convert semi-automatic rifles into weapons that fire too rapidly to be legal. The shareholder scrutiny of the world's largest online retailer comes a day before the anniversary of the school massacre in Newtown, Connecticut, where a gunman killed 26 people. The incident led to extensive debate over U.S. gun-control laws and pressure on gunmakers and traditional retailers. The activists include the managers of funds that promote themselves as socially responsible investors, and a deputy of New York State Comptroller Thomas DiNapoli, who manages the state's retirement fund. 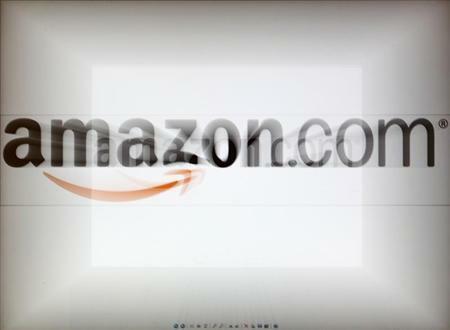 They sent Amazon Chief Executive Jeff Bezos a letter on November 25 and showed it to Reuters on Thursday. The group of investors, which said it had not heard back from Amazon, asked for details like whether the company restricts sales of dangerous products and what percentage of revenue it generates from firearms accessories. The activists said in the letter that they were not suggesting the company is violating U.S. laws. "Nevertheless, we are deeply concerned that these product offerings allow your customers to increase the lethality of their weapons and to effectively convert semi-automatic weapons into machine guns, which are illegal under U.S. law," states the letter. An Amazon representative said the company does not sell guns or ammunition and cited its policies in response to other questions. The company's website notes that some jurisdictions might restrict the sale of some products. It also says it prohibits third parties from selling on Amazon "converters that can give a gun automatic capability" and "parts or accessories related to assault weapons." The activists' letter was signed by Adam Kanzer, general counsel of Domini Social Investments of New York and sent on behalf of 33 other investors that collectively have more than $490 billion under management and include Amazon shareholders. They noted the case of Newtown where gunman Adam Lanza used weapons including an AR-15 type rifle, a popular weapon that can be converted to fire more rapidly. The activists cited products offered for sale on Amazon.com such as a gun stock that "allows shooter to shoot as quickly as desired" and a lever for the AR-15 that "allows you to lock the bolt back and release the bolt with just a slight movement of your trigger finger which significantly improves the speed and efficiency of reloads," according to both the site and the text of the letter. Similar levers were also available on the online sites of other retailers including Wal-Mart Stores Inc and Cabela's Inc. Cabela's also sold a similar gun stock. Kanzer said his firm did not contact either of the other retailers on the issue because Domini does not own their shares. A Cabela's spokesman declined to comment. A Wal-Mart spokesman, Kory Lundberg, said the store avoids selling accessories that could be used to illegally modify a firearm. Among other restrictions, he said, it also does not sell handguns except at a few stores in Alaska, and does not sell guns online.